Over the past five years I got used to getting bent. I really mean a lot. I never really thought much about how frequently I got bent, I just sort of took it for granted that I would get some form of DCS every now and then. Skin bends? Yup, that one was pretty common. Itching, rashes, those were pretty frequent occurrences. I probably got a case of skin bends on one out of ten cave dives, and I just considered it one of those things that I had to contend with if I wanted to keep doing longer dives. Joint pain? Those were rare, but I had a couple of them too. My first “type 1” hit was in my elbow back in 1994. A friend of mine and I tried to do a swimming stage dive to the well at Little River. We were in wetsuits, and diving air. We were young and dumb. Diving air meant a lot of decompression, and I was cold while waiting for my computer to clear. After that dive, my elbow felt like someone had tried to hammer a railroad spike into it. My wife fell off of a horse that day. We spent the evening cuddled in bed, icing our injuries and chewing down Advil. Oddly enough, I did hundreds of dives without getting bent, and I never got bent on a “recreational” profile. Between 1994 and 2001 I did hundreds of deep and long cave dives, and only got bent about once a year. Although one of the hits was bad enough that I spent a weekend in Tallahassee Community Hospital at the chamber, I really didn’t think much about it because it was well within the realm of what my friends were also experiencing on some of our dives. We were experimenting on ourselves with different decompression profiles, and my experience were not that unusual. But something happened during my break from cave diving, and when I came back I started getting bent regularly. As I said, the common one was skin bends. I was averaging about one hit a month, and just grew to accept it as normal. However, in spring 2014, that changed for the worse. I took a type 2 (CNS) decompression hit after a four-hour dive in Indian Springs. The profile was nothing really absurd, but about two hours after the dive, I was drooling in my dinner. I wasn’t sure what was going on with me, but suspected I had a PFO. For those of you unfamiliar with the term, a Patent Foramen Ovale, or PFO, is a hole between the right and left atria of the heart. 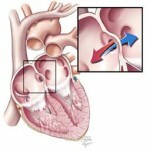 This shunt in the heart allows blood to by-pass the lungs, and continue circulating throughout the body. Every person has a PFO while they are in their mothers’ womb, but they usually close shortly after birth. 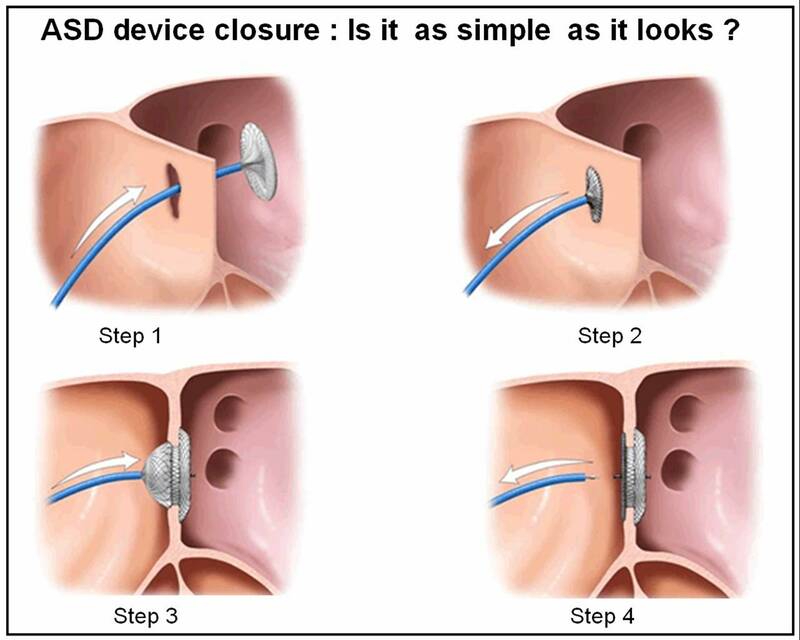 It is estimated that 25%-30% of the general population have a PFO that failed to close. In some people, the PFO is closed the majority of the time, but can open when under certain physiological strain (walking a set of heavy gear out of the water, Valsalva maneuver, bearing down like you’re trying to go poop). What a PFO means to a diver is that as the diver is off-gassing (decompressing) from a dive, blood that is rich with inert gas micro-bubbles may potentially by-pass the lungs and pass into arterial circulation. As the diver ascends, there is a potential for the bubbles to expand into bigger bubbles, and cause decompression illness. And for non-divers, a PFO can mean an increase in risk for stroke. But the idea that I had a PFO did not make much sense to me. As I said, I had done a lot of deep diving and been a very active diver. Aside from a dissection of the heart, there are only three tests available to determine if an individual has a PFO, and I tested negative on the “gold standard” test back in 1998. Transthoracic echocardiogram (TTE). It is the most common type of echocardiogram, and is entirely non-invasive. A technician injects a saline contrast with bubbles in it while monitoring to see if they pass through a PFO with an ultrasonic transducer. The probe is placed against the rib-cage on the outside of the body. This test is not considered very reliable because of the potential for it to miss a small hole due to the probe being external to the body. Transesophageal echocardiogram (TEE). 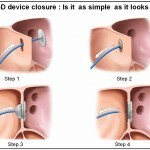 This test involves a probe being inserted into your esophagus, and usually the patient has to be under mild sedation. A saline solution with bubbles is injected into the blood stream while actively being monitored by the probe. This test had been considered the “gold standard” for a PFO test for many years. Transcranial Doppler (TCD). Recently, this test has become more widely accepted as a way of identifying a PFO. A probe is placed on the outside of the skull while a saline solution with bubbles is injected in the body. It is completely non-invasive. In 1998, after an incident that caused me to spend a weekend in a hospital doing chamber rides, I underwent a TEE. I tested negative on that test, and just assumed I was in the clear. But, after the hit in 2014, and the frequency of skin bends on decompression dives, I began to have doubts. After a consultation, my GP referred me to a cardiologist. The cardiologist reviewed my case history, and having previously treated other divers with a PFO, decided to send me for a bubble study. A week later I was in the clinic having a TTE – first the technician took an ultrasound of my heart without the saline contrast, then an ultrasound with the saline bubble solution to watch the flow through the heart to the lungs. Finally, it was time to test for a PFO; the technician ordered me to bear down and perform a deep Valsalva to try and get a PFO to open, and injected the bubble solution. Eureka! She could see the bubbles shunting across my heart! The cardiologist scheduled a follow-up for additional testing. He wanted for me to undergo a TEE to see if they can determine the size of the PFO. Because the TEE requires mild sedation, the cardiologist wanted to have it performed in a hospital. Two weeks later I found myself in North Florida Regional Hospital’s cardiac wing to have the TEE. The surgeon that would ultimately repair my heart came in to talk to me, and he explained the steps in the TEE. He also told me they would administer a mild sedative to inhibit the gag reflex when they insert the probe down my throat. A few minutes later, an attendant came in and administered a shot of propofol (the same stuff that killed Michael Jackson). The next thing that I remember is being woken up in the recovery room. The doc came in and told me that I tested negative on the TEE. His speculation was that my PFO was small enough that I needed to do a deep Valsalva in order to trigger it to open, and that the propofol interfered with my ability to do that. Ya’ think? I’ve since heard from one other person who also had a PFO closure, and she tested negative multiple times on the TEE. Hmm, gold standard? He also decided to go ahead and schedule surgery to implant an Amplatzer Septal Occluder. The septal occluder is essentially a wire mesh plug that gets inserted into the hole in the heart by a catheter. Your heart muscle then grows around the mesh and the PFO closes. As I was being discharged from the TEE, we scheduled the surgery to close my PFO for Friday, September 19th, 2014. The week prior to the surgery I was pretty calm and collected, but the morning of the surgery I started to panic. What if I had a stroke, or worse, while on the operating table? What if the surgery didn’t work and I still got bent like a pretzel? In a nutshell, I was scared shitless. But in the month between verifying the PFO existed and that morning, I had spoken with several people who had undergone the procedure. Every single one of them spoke positively about the success of the procedure, and those conversations gave me the strength to continue. The nurse came to prep me for surgery, and then about half-past 8 in the morning I was wheeled into the OR. This time there would be no anesthesia to knock me out, just a local so I would not feel the procedure. Did I mention that the surgery involved a catheter inserted in my groin region? The room was cold, and I was conscious, and my junk was on full display for the world to see. The attendants prepped me and got me ready, and then my surgeon came into the room. What happened next was a weird, surreal, experience. It must have been nerves, but I was talking like crazy and I carried on a conversation with the surgeon while he was probing and plumbing around, inserting tubes into my body, making his way to my heart. We talked about family vacations, travels, and the like. He talked about his kids, and I talked about my wife and our trips to the islands and my god kids. I also offered to teach his kids scuba (he hasn’t taken me up on it). About ten minutes after he started, he announced he found and plugged the hole. He also told me it was one of the smaller ones he has ever had to close. I was wheeled out of the OR and brought to a recovery room. Because of the dual incisions, and the amount of blood thinners I had been given, they wanted me to lay flat on my back for several hours to let the wound close. A few hours post-op they asked me to sit up, but unfortunately I started to bleed. Luckily for me they got it under control, and I stopped bleeding. That afternoon, probably around 2 or 3, the doc came in to talk to me and see how I was doing. He told me I was not allowed to dive for six weeks with no really deep diving for three months. He also said I was not allowed to run for a week, I was not allowed to lift anything heavy for four days, and warned me that I would probably have some bruising near my groin. He wasn’t kidding about the bruising – two days after the surgery it looked like someone had taken a baseball bat to my psoas region. Oh and it was sore. Regardless, recovery went well and I did quite a bit of walking after the first few days. On Halloween Day I was cleared to dive again, and I started off with a bang by teaching a NAUI Cave 2 course. Every dive in a NAUI Cave 2 course is a stage dive, and we booked five days to do two stage dives a day – that’s a lot of bottom time. I don’t think that was what the doc had in mind, but you might as well jump in with both feet. I felt great after every one of those dives, but the true test would be on a deeper dive. However, I continued to do shallower, but progressively longer dives. I also co-taught a full cave class in early December, which was another five days of back to back to back dives. Christmas break marked the three-month period, and I had the chance to really test the new, improved, bionic heart. I had an opportunity to go do a few dives at Eagles Nest and Diepolder III, and those dives would all be deeper than 250’ deep. Time to spend some money on helium! The first dive was at D3 and I remember getting back to deco and wondering if that dive was going to leave me bent. At one point I actually started to get tense – would I be sitting there scratching my swelling belly two hours after the dive, or would I feel normal and fine? Well, the good news is that I was perfectly fine after the dive. Actually, I felt incredible. No problems what-so-ever. Eureka! Fast forward to today. In the eighteen months since having the surgery, I’ve logged a little over 350 dives. I’ve also slowly bumped up my gradient factors, decreasing the conservatism in my diving. An easy estimate is that over 200 dives since the surgery involved some form of staged decompression, and with all of the diving we did in Cathedral this past fall, at least 50 of them were deeper than 150’, including a couple of dives with 7 hour run-times (two with 3 hour-bottom times @150’). There have also been at least 20 dives deeper than 220’, with two just shy of 300’. I’ve only had one minor incident out of those dives, and that was on a hot day where I humped a bunch of gear a long haul immediately after a four-hour dive. That’s a far cry from where I used to be, and all in all I’d say the procedure was a huge success. If you find yourself getting weird skin bends, or other issues, you might consider getting checked for a PFO. And be sure to have multiple different tests done – the TEE can definitely have a FALSE NEGATIVE, so don’t rely only on one test. If you find out you do have a PFO, while I will tell you I had a positive experience, only you can decide if the risks associated with the surgery are worth it or not. I know people that have chosen to not take those risks, and they are living full productive lives.